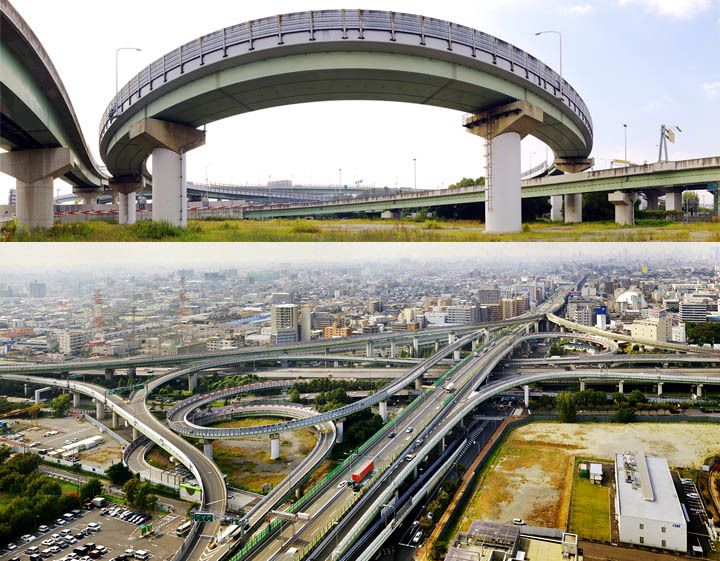 Above left is the Hakozaki Junction, part of the Metropolitan Expressway in Tokyo, and at right is the Hokko Junction in Osaka... 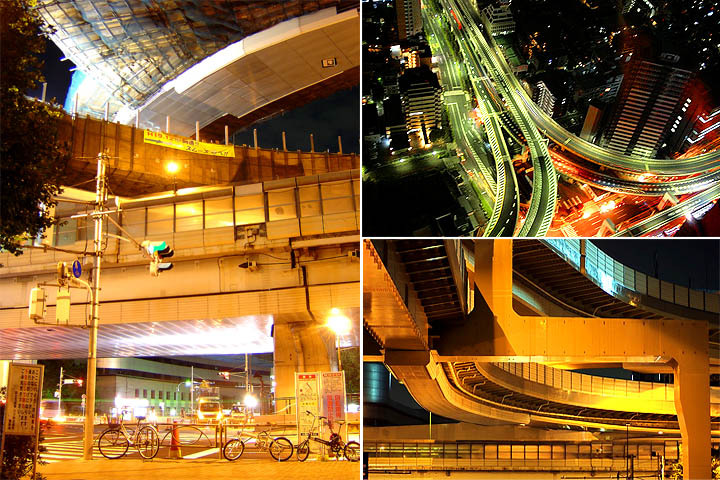 These images illustrate the solution engineers used when building multi-lane highway interchanges in some of the world's most crowded cities in Japan: go vertical! 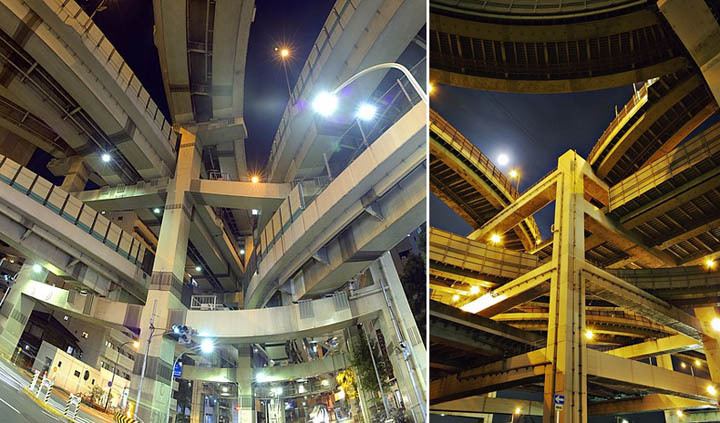 Ken Ohyama has made it his mission to chronicle some of the more striking Japanese roadworks in a Flickr series called Interchange and a book of his photos available from Amazon. 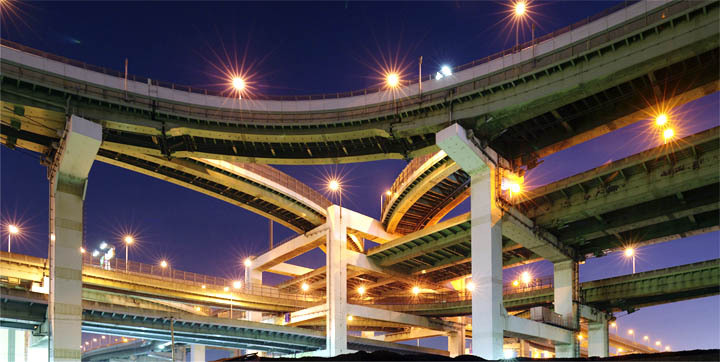 One of the more outstanding examples is The Hokko Junction shown above - a part of the Hanshin Expressway near Japan's second city, Osaka. When engineers have space to work with, they take full advantage. 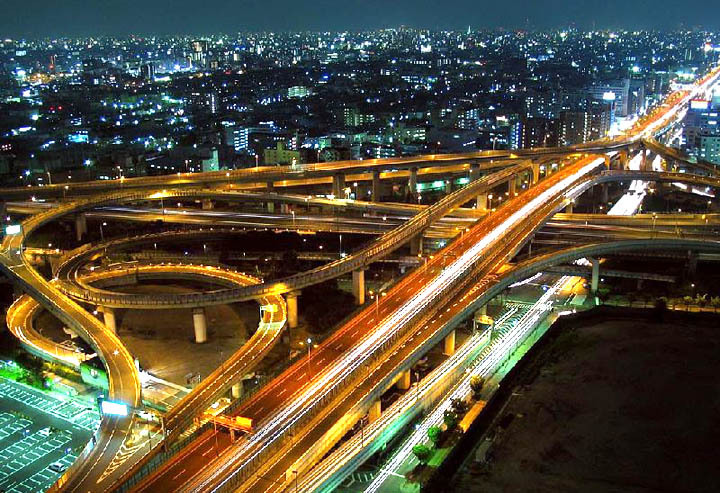 This wide field view of the Higashiosaka interchange shows the almost organic complexity of a busy cloverleaf, resembling a living creature's circulatory system with the vehicles acting as blood cells. By the way, for the tricky "urban density" photography, head over to this page... and see if you can spot something wrong with the image there. 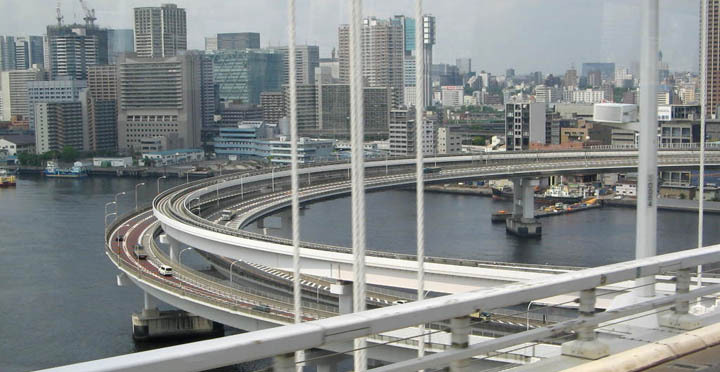 Some sections of the Hanshin Expressway suffered severe damage during the 7.2 magnitude Great Hanshin Earthquake which hit the Kobe, Japan area in January of 1995, killing over 5,500 people and costing over $200 billion. 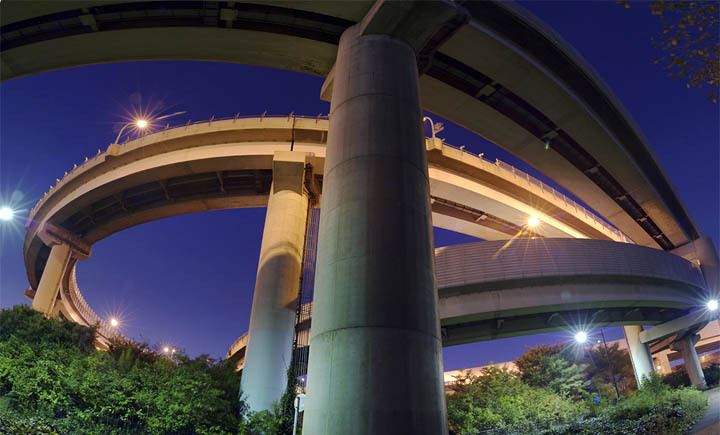 On the bright side, the affected sections of the highway did not "pancake", as happened in the 1989 Loma Prieta quake, but instead slipped sideways and tumbled over. 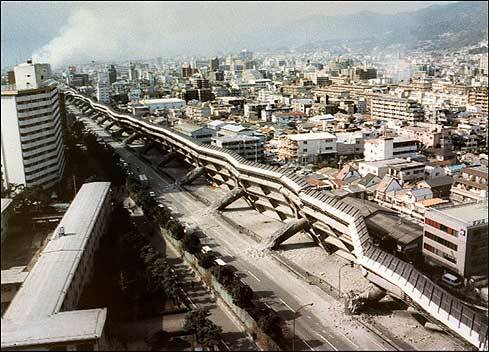 Either way, one doesn't want to be driving through a highway interchange or junction when a big quake hits! 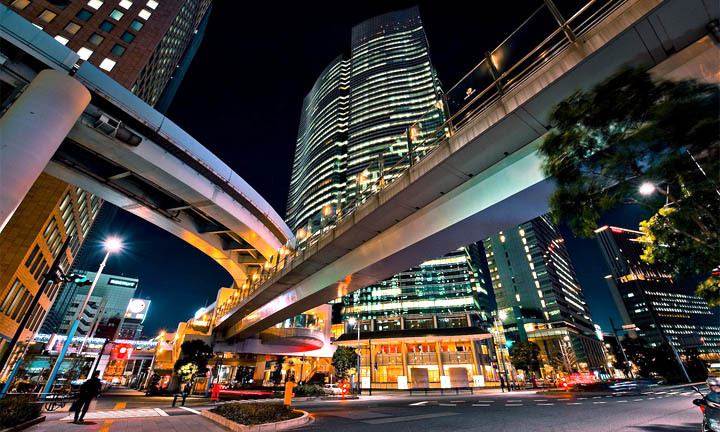 Public works spending has long been the Japanese government's preferred way to spend budget surpluses, boost employment, keep the ruling party's supporters in the construction industry loyal, or all of the above. 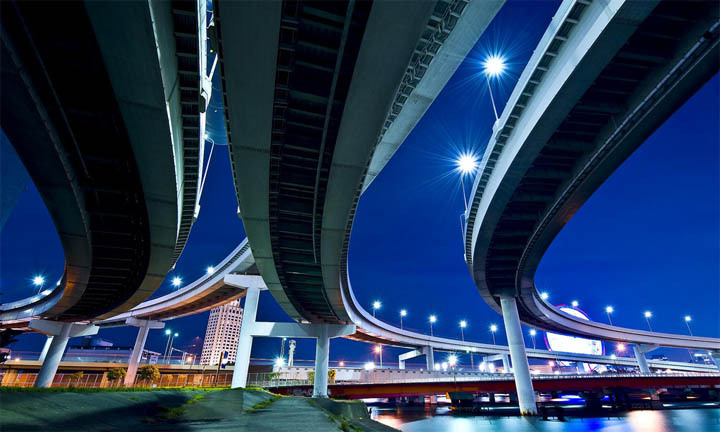 The highway depicted below is one of those projects, steadily overtaking a quiet city street like Godzilla in slow motion. The story goes that the original building's owner wanted to knock it down and rebuild, but was told by city planners that the space was being allocated to a newly planned exit of the expressway. Both sides refused to budge, and the compromise was completed in 1992. Dark Roasted Blend has been covering some rather fascinating bridges before. 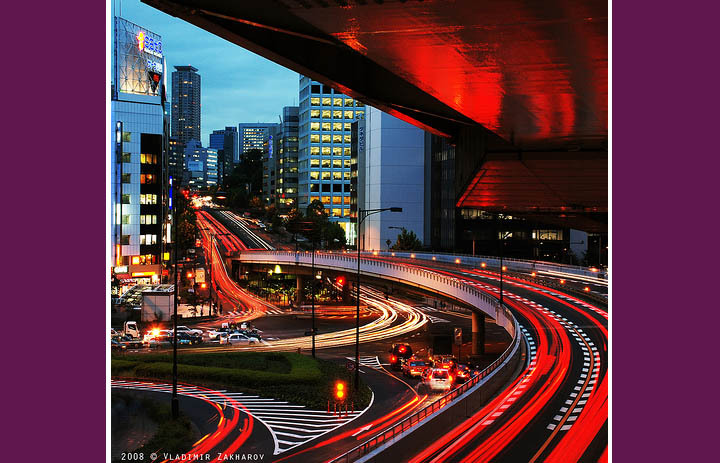 Here are a few more - a spectacular sample from Japan. 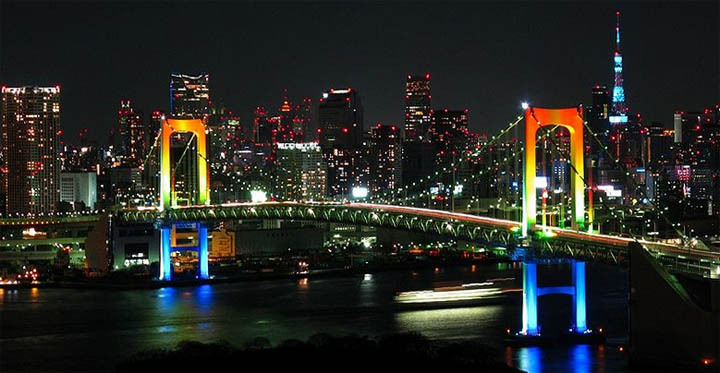 The 570 meter (1,870 ft) long Rainbow Bridge spans the northern (inner) part of Tokyo Bay and has been a city landmark since it opened in 1993. 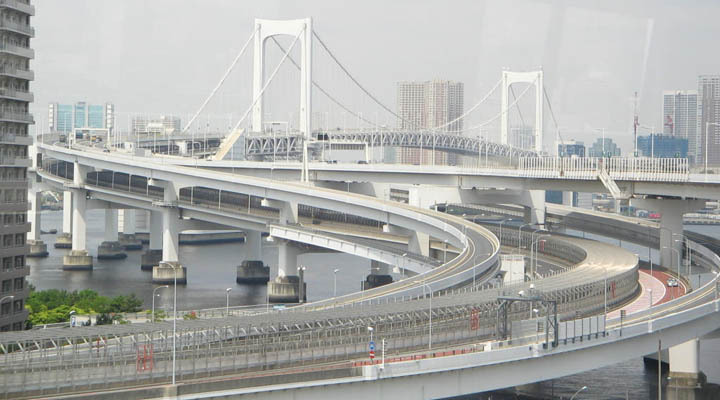 Two roadways, a transit line and pedestrian walkways all use the bridge, resulting in a seemingly chaotic tangle from certain angles. 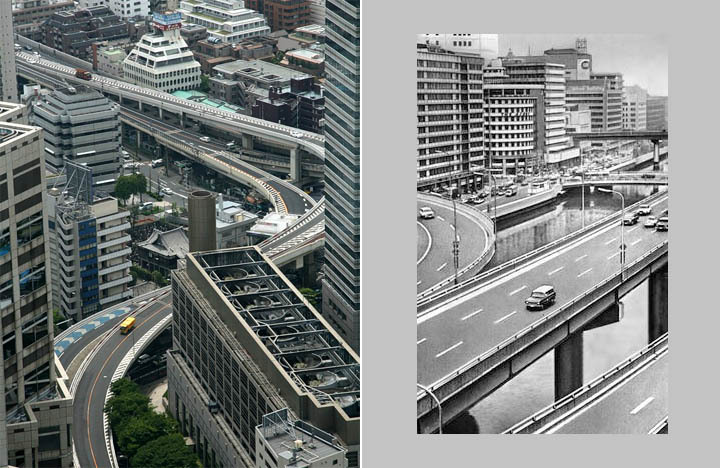 Of course, any discussion of Japanese highways wouldn't be complete without mention of Mount Fuji. The mountain's iconic snowy peak is visible from Tokyo - on clear days, at least - but though it's certainly possible to reach the dormant volcano's doorstep via highway, taking the Shinkansen bullet train is a better bet. 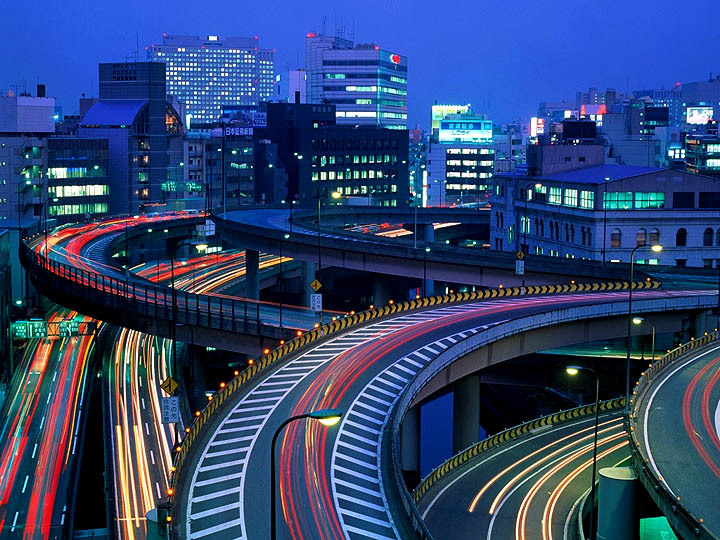 One thing you want to keep firmly in mind if you should be driving in Japan: they drive on the "wrong" side of the road, just like in the United Kingdom. Yours truly spent a wonderful vacation driving a rented Subaru Justy west to east across northern Japan in 1992, and although one gets used to both the setup of the roads and the reversed driving position (the steering wheel's on the right side), you don't want to lose your concentration and fall into old habits - especially when cruising up and down steep mountain roads! 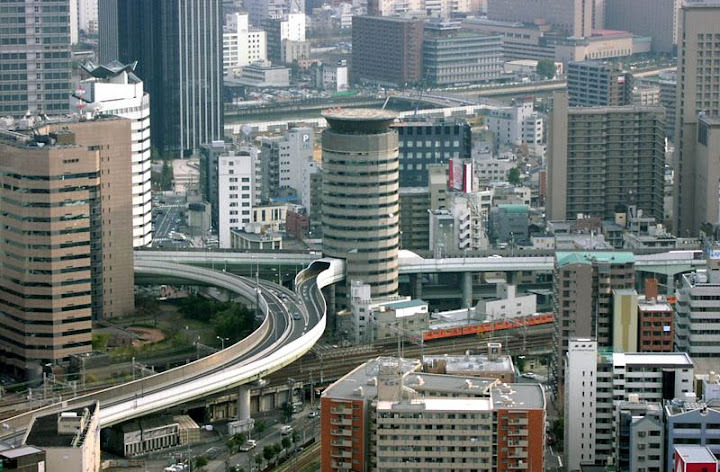 The Beehive is not in Fukushima, it's in Osaka. 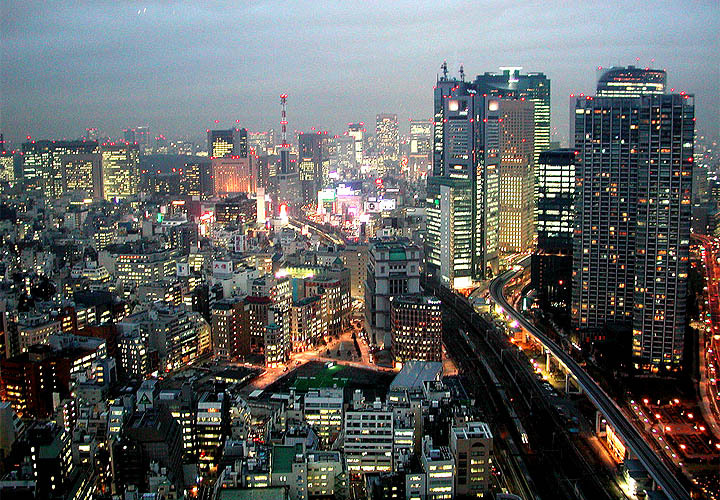 Fukushima-ku is a ward in the city of Osaka. The pictures are absolutely beautiful. Thank you for showing them. Wow. Stunning. That's some impressive innovation. The picture on the left under 'Recession, What recession?' 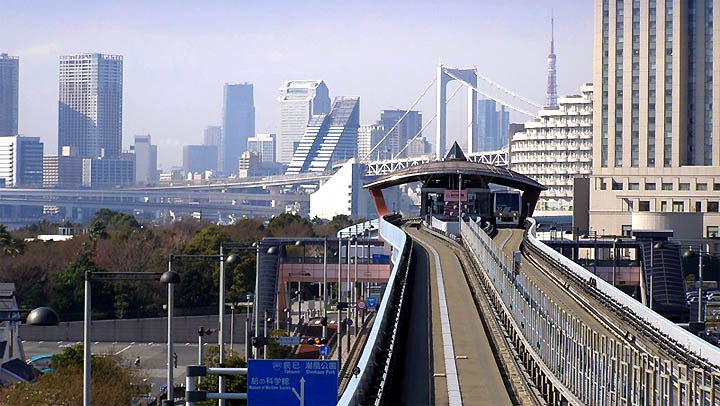 is actually of an automated rubber-tired mass transit system, the Nippori-Toneri liner. It's extremely shiny and its stations and concrete pillars are just massive. Nice pics although some of them would have looked better without the fish eye lens. 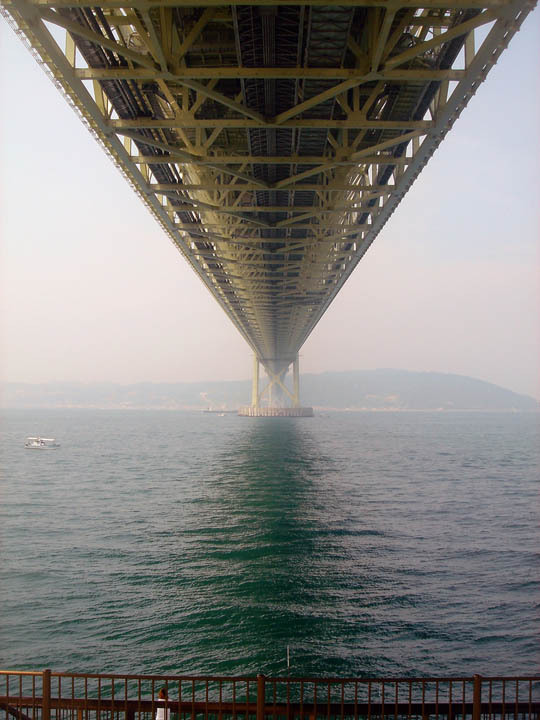 Japanese scientist also developed Elastic Water. Creative aren't they? 56 yearsa go when I was an M.P. in Japan, I was escorting a small convoy when we were detained by highway work. There was a group of workers mixing cement in the forms for a highway with a small engine, a flex shaft drive and a propeller on the end. Sure have come a long way!